Darrington is a town just west of the Sauk River in Snohomish County. Buyers will find established single-family homes for sale here on various sized lots. 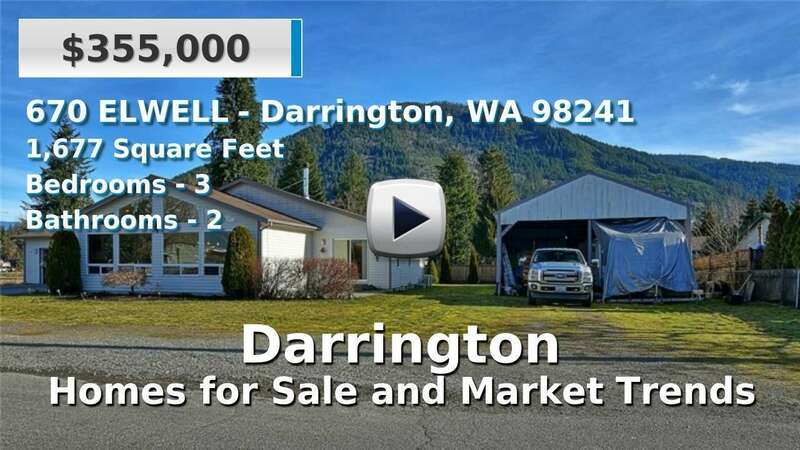 Darrington is virtually surrounded by mountains on all sides, of which, Whitehorse Mountain is the tallest. Other peaks and parks include the White chuck and Round Mountains, Darrington Bluegrass Music and Squire Creek Parks, and the Boulder River Wilderness. 3 Beds | 2 Baths | 1677 sq. Ft.
5 Beds | 2 Baths | 3932 sq. Ft.
3 Beds | 2 Baths | 1157 sq. Ft.
4 Beds | 2 Baths | 2148 sq. Ft.
3 Beds | 2 Baths | 1582 sq. Ft.
2 Beds | 0.75 Baths | 1000 sq. Ft.